This bar has been crafted in Madagascar from Madagascan cocoa and nothing else. The trick with 100% cacao chocolate is to break off a small piece and just let is melt on your tongue. As this bar melts, it coats your mouth. 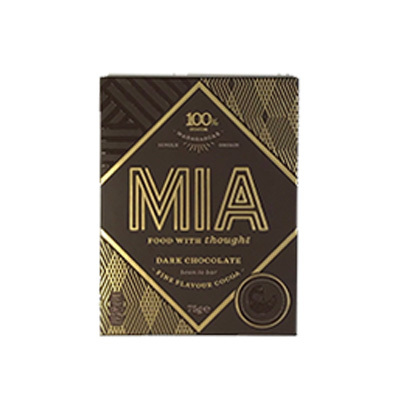 It is one of the more approachable 100% Madagascan bars, with its smooth texture giving it a particularly even melt. It has many of the jammy notes that are so typical of Madagascan cacao, with a roasted finish.